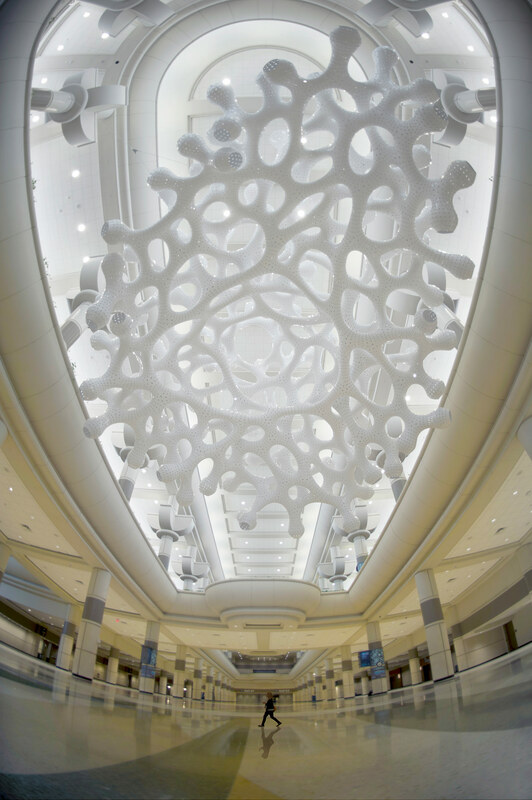 A 48-by-35-by-26-foot public artwork has been installed in the main concourse of the Orange County Convention Center in Orlando, Florida. 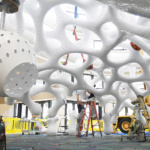 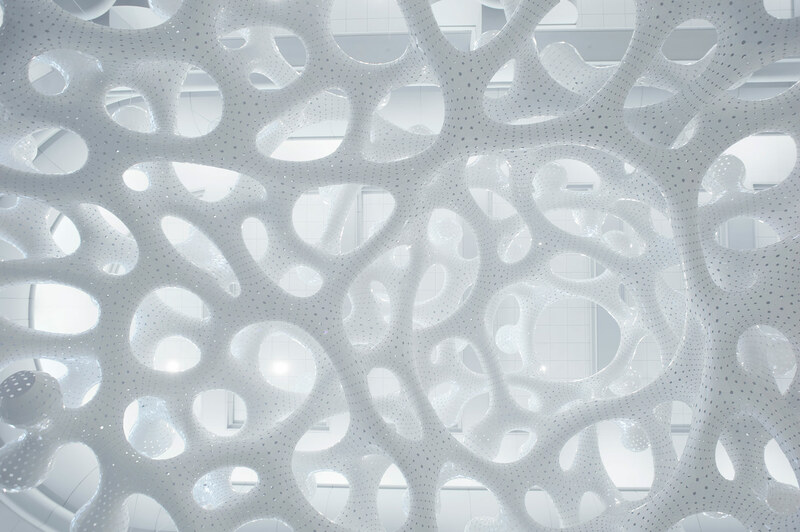 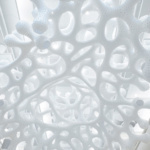 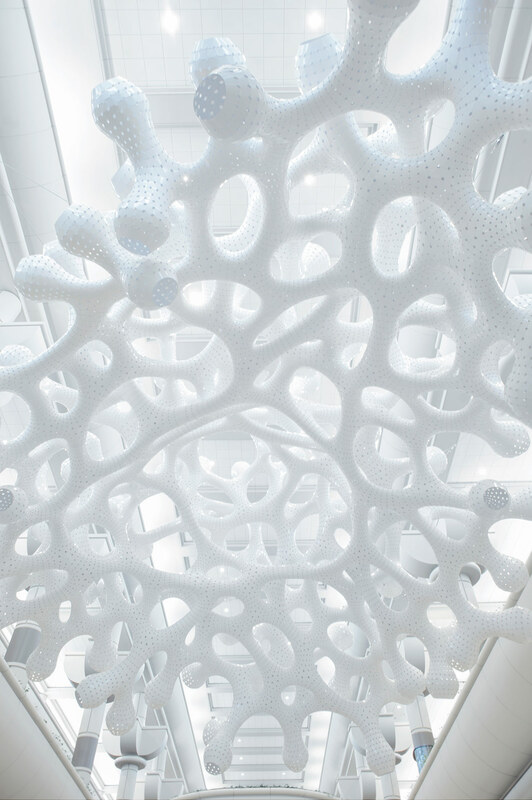 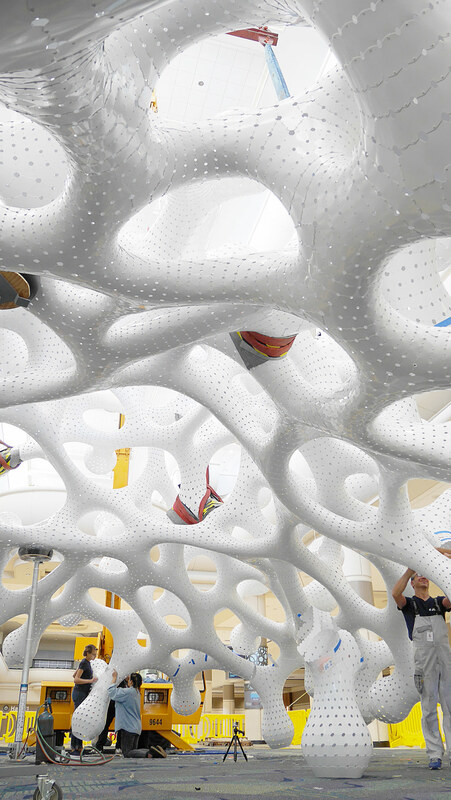 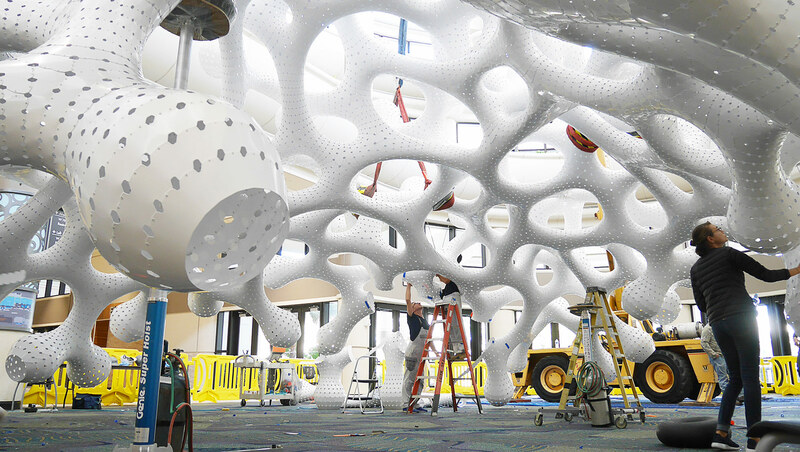 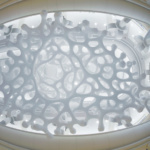 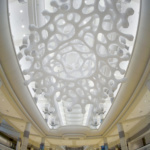 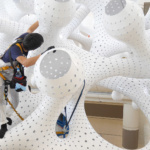 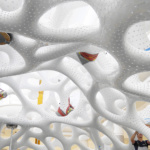 The work, titled Under Magnitude, is designed by New York architect Marc Fornes and his firm THEVERYMANY as a “curious signal and a place for visual wandering” meant to activate one of the convention center’s main social spaces. 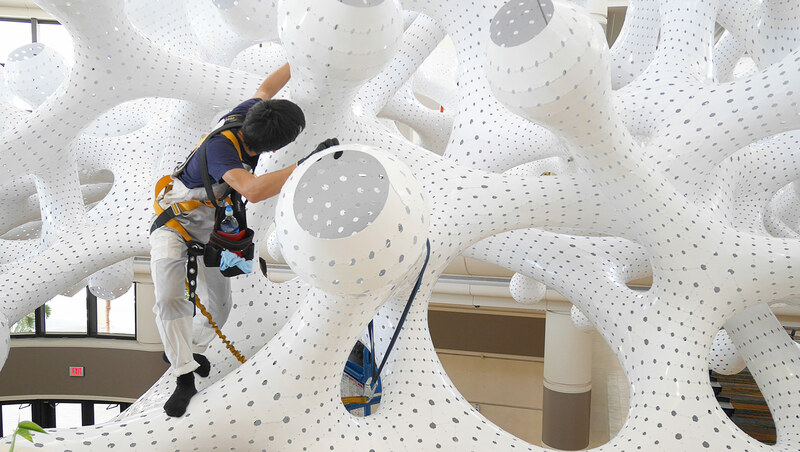 The two-story sculpture—made up of 4,672 ultrathin aluminum strips and 103,723 rivets—is suspended above the concourse floor via steel wires and can be seen at eye level from the mezzanine. 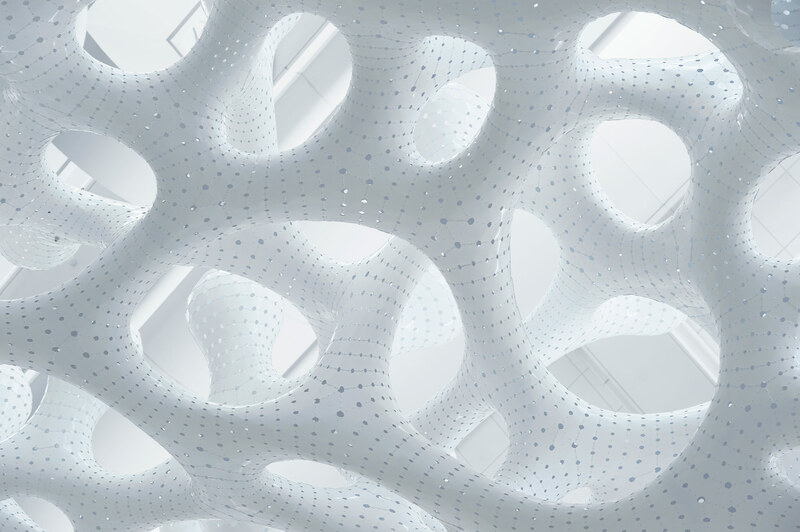 The structure follows the laws of what Fornes described as “tangential continuities,” a geometric phenomenon describing how micro-level linear components are utilized to describe macro-scaled, nonlinear geometries. 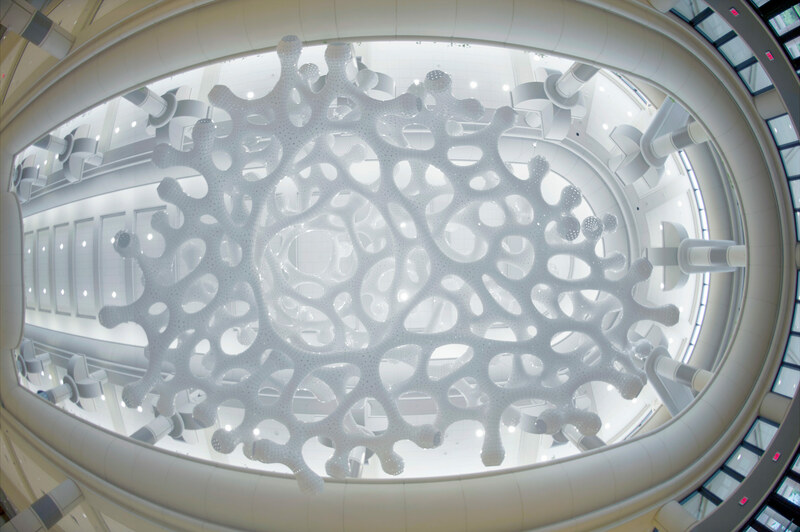 The model dates back to the work of 20th century artist Frei Otto, whose Soap Bubble Model theory postulates the so-called “extensive curvatures” at the foundation of Fornes’ work. 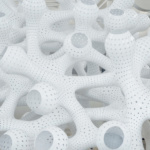 Frei was interested in the geometric and structural tension that occurs in surfaces that transfer stresses along their length. 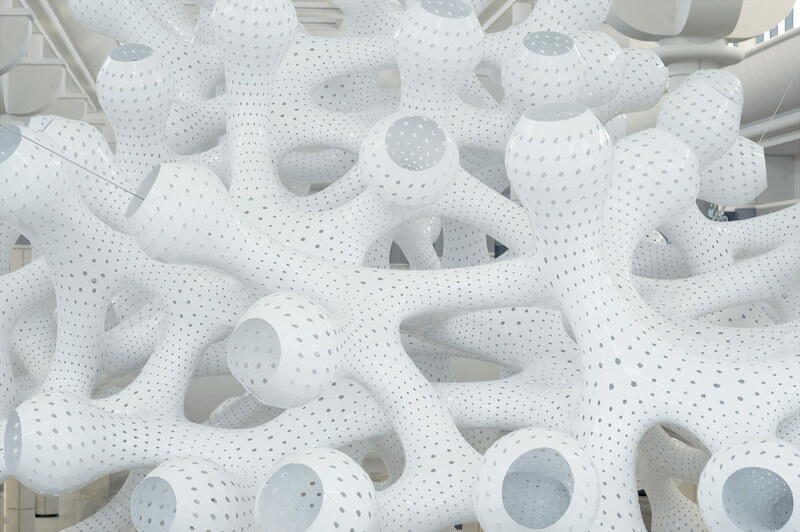 Fornes inverts that theory via his notion of “intensive curvatures,” in which digital modeling is used to “maximize double curvature across the project,” rendering dynamic and fully self-supporting forms. 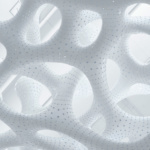 The result is a holistic structural system that is defined by a tightly curved and constantly changing surface that is also incredibly strong and composed of thin materials.